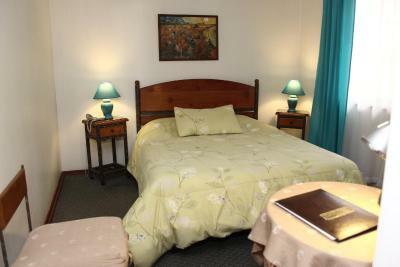 Lock in a great price for Hotel Tres Poniente – rated 8.2 by recent guests! They changed our room after we complained. This was still very small. We chose this hotel because it was close to the Foncke Museum a few blocks away, breakfast and parking were included. Parking on site is available, but limited to 3 vehicles. Parking on the street was easily available, but we were there on the off season. The room was quiet and basic. There is a large (Jumbo?) grocery store a few blocks farther up the river on the main street to buy food/essentials. I liked the location best. The photos online looked better than the reality. The place and decor is tired and outdated. It’s really needing a paint job in the rooms and bathroom. The shower was good though, plenty of water pressure. Location excellent. Staff really friendly. Room a great size (we had the family room). Breakfast lovely - breads/egg/fruit etc. All in all a great pied à terre whilst exploring Viña. Hotel Tres Poniente This rating is a reflection of how the property compares to the industry standard when it comes to price, facilities and services available. It's based on a self-evaluation by the property. Use this rating to help choose your stay! 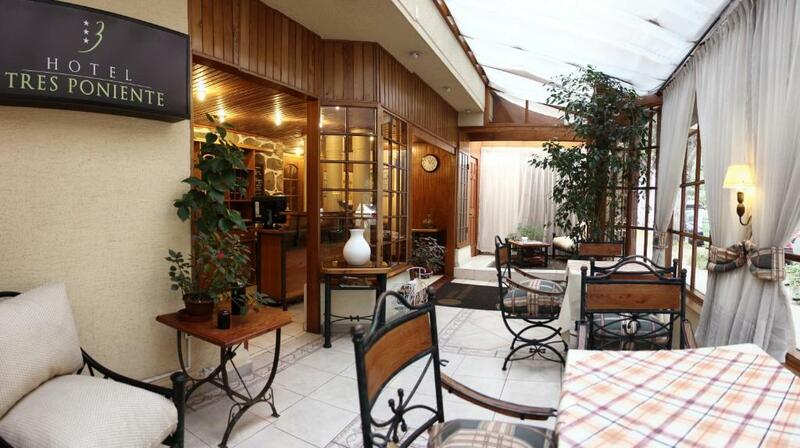 One of our best sellers in Viña del Mar! 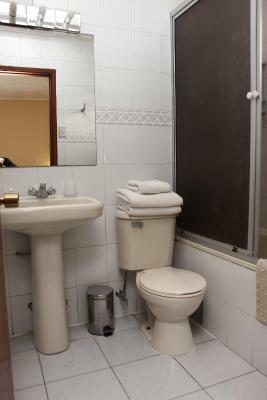 Just a 15-minute walk from the celebrated Viña del Mar beaches and a 10-minute walk from the Casino, the hotel offers nicely decorated rooms with free Wi-Fi and cable TV. 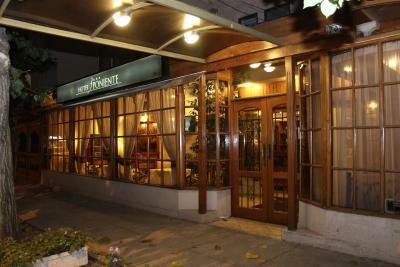 Hotel Tres Poniente features wrought-iron and wood furniture and light wood furnishings. 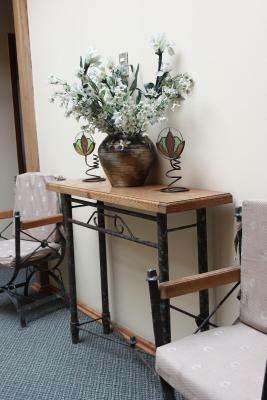 The rooms have private bathrooms.Some have colorful bedspreads, wood paneling or soft peach colored walls. Laundry services are available. Breakfast is served daily with fresh juices and regional products at the bar, which is decorated with ceramic tiles and is located by the ample door-to-ceiling windows. There is a 24-hour front desk and Viña del Mar’s famous commercial center and entertainment venues are 0.6 mi from the hotel. Arturo Merino Benito Airport is 51 mi away. 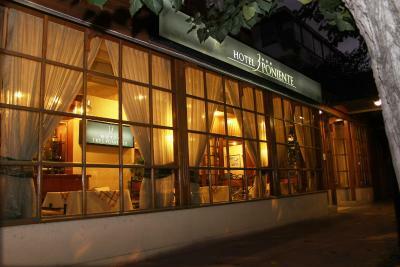 When would you like to stay at Hotel Tres Poniente? 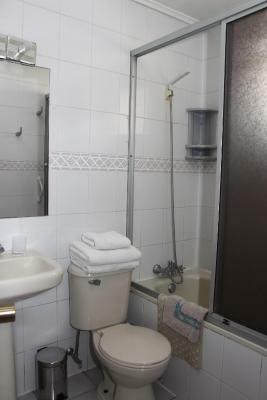 This room features a private bathroom, desk, safety deposit box, LCD cable TV, telephone, mini-bar and hairdryer. This room features 1 double bed, 2 single beds, private bathroom, desk, safety deposit box, LCD cable TV, telephone, mini-bar and hairdryer. 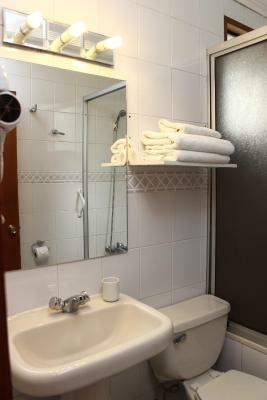 This room features 1 double bed, private bathroom, desk, safety deposit box, LCD cable TV, telephone, mini-bar and hairdryer. 1 extra bed can be accommodated. House Rules Hotel Tres Poniente takes special requests – add in the next step! Hotel Tres Poniente accepts these cards and reserves the right to temporarily hold an amount prior to arrival. Please note this property only accepts local currency. The hotel was comfortable , good bed , but monotonous breakfast , and outdated services which could do with some maintenance. We were given a room which had a bed frame that extended 6" past the mattress, which was a serious knee/shin knocker. That you had to press the buzzer to leave and get back into the hotel and the staff were often very slow to acknowledge the buzzer. The staff and the room for breakfast. 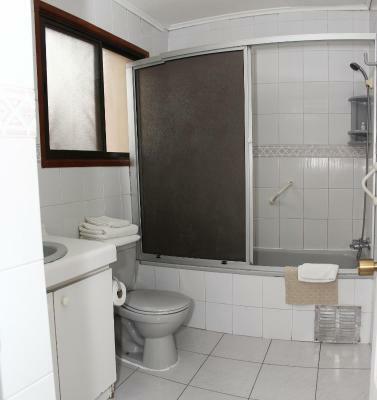 The bathroom was really too small. The breakfast was rather simple. They could offer real coffee instead of powder coffee. The parking was inside the building, but all the cars were one after the other, so it was discouraging to use the car during the day because all the cars had to be moved for this purpose. 3rd floor and no elevator. oldies be aware.